Indian classical dances use three aspects or modes of kinetic expression that span the range of aesthetic possibilities: Nritta, Nritya, and Natya. Nritta is abstract or "pure" movement- it is pure dance devoid of emotional expression wherein dancers use body movements and rhythmic footwork to create visual geometric patterns vibrating with dynamic energy. Nritya is lyrical dance that interprets poetry. Dancers use conventional hand gestures called mudras along with facial expressions - abhinaya, and feelings to express the meanings or interpretations of the lyrics or text. Finally, Natya describes dance-drama that enacts a narrative or idea. 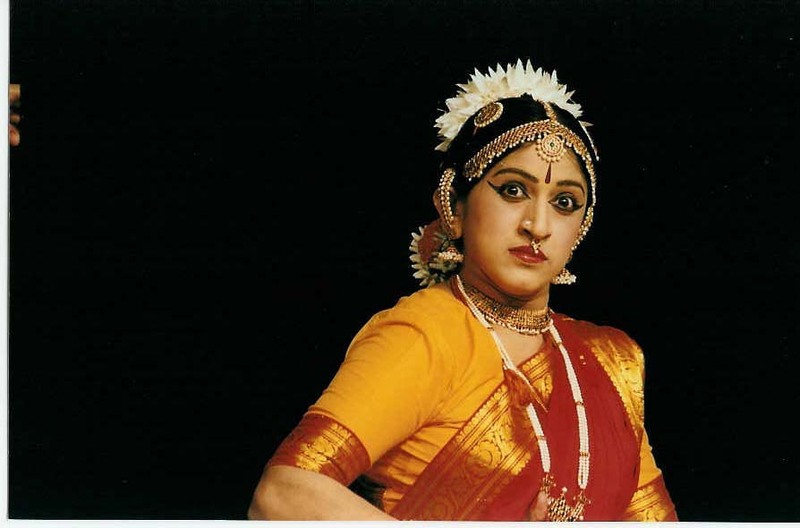 In Natya, dancers use both pose and expressional aspects along with mime to create drama. Like all the other classical dance forms the origin of Mohiniyattam was also from the temples. The original name of Mohiniyattam was "Thevadichiyattom" which means the "dance of the maidens of the Lord"- Theva-God, Adi-feet, Achchi-wife, thus "Thevadichi" means "the wife of Lord". "Mohini" means "beautiful lady" and "attam" means "dance". This change in name is similar to that of Sadir turning into Bharatanatyam. Literally, "Mohiniyattam" means, "dance by a beautiful lady". Extremely soft, graceful and gentle movements characterize Mohiniyattam with emphasis on "abhinaya" or facial expressions. Mohiniyattam is deeply indebted to the constructive contributions of the three Pillars or Thri-Moorthis, namely Sri Swathithirunal, Sri Vallathol (a great poet and founder of Kerala Kalamandalam) and Smt. Kalamandalam Kalayanikutty Amma (who is considered the mother of Mohiniyattam as we see it today) for its revival. Kalyanikutty Amma cleared the mythical mystery behind the name of this dance form and gave it the most convincing explanation based on truth, social and historical evolution, interpreting Mohiniyattam as the dance of a beautiful lady rather than that of a mythical enchantress from heaven.